Always ensure that you leave at least 3-second cushion of a gap between you and the car in front. This also means that you should begin a journey as early as possible to avoid over-speeding just to cover up for lost time. Tailgating is one of the major causes of car accidents all over the world today! You need to be courteous to other car drivers on the road, make sure any suspicious driving act is reported to authorities. Experts recommend that you scan some 10-12 seconds ahead while driving. Make sure you concentrate on the lane you are driving and position yourself far enough so that you can avoid crashes when someone has to stop abruptly. With numerous fender benders in the parking lots, you must watch out for cars that are leaving parking spaces. This means you must not rely on your mirror alone when backing out, look over your shoulders while steering, in order to complement the blind spots mirrors cannot monitor. Having a brake failure is one of the issues you want to avoid on the road at all costs. 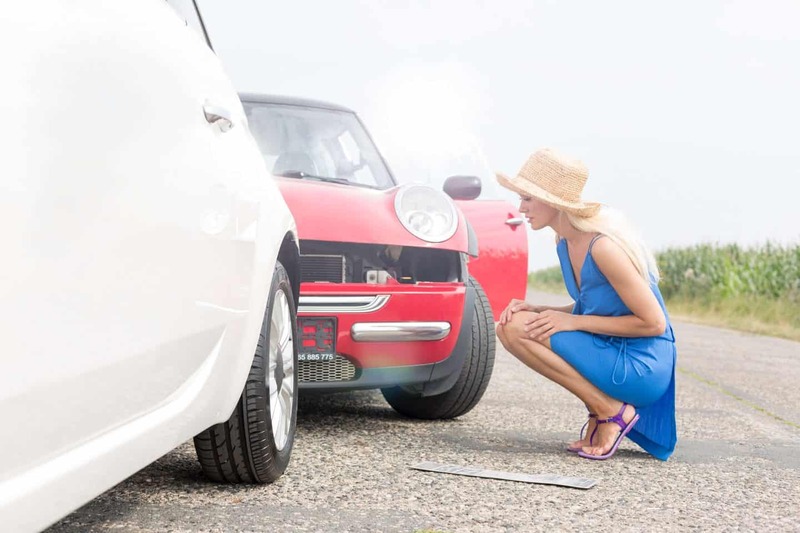 Similarly, you want to avoid a sudden stalling of your car, hence you need to change engine oil regular, keep your tires well-inflated and make sure your car is always in good condition. If you are in an accident while in vehicle and the accident is not your fault, please do contact a Personal Injury Attorney to file for compensation. Distractions come in diverse forms and they are guaranteed to increase your risks of involving yourself in car accidents. Don’t stare at your smartphones while driving. Do not drink and drive and do not be too involved in a conversation inside your car while driving. Distractions are perhaps some of the most notorious causes of car accidents. In conclusion, there are so many other tips that could help reduce your risks of getting involved in a car accident. For instance, you need to be aware of weather and road conditions so that you can prepare well enough for driving under unfavorable weather. Make sure you always have good visibility especially when driving at night. Thanks for stopping by today, I hope these tips will minimise your risks of being in a car accident. You can check out my car category here for related car topics.